I see patients from age 13 - 65. I am an integrative psychiatrist. I use a number of different approaches to help you heal. 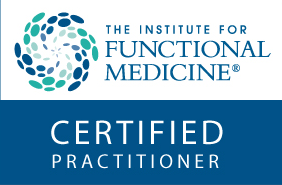 Primarily I use the Institute of Functional Medicine (www.functionalmedicine.org) blended with my traditional Psychiatric education and training. What conditions do you typically treat? How long does it take to get an initial appointment? Usually, I am out of the office for eight weeks somewhere between January and April to do extra medical education and my growth work. My schedule gets very tight during those months. I have a firm commitment to be available to my established patients and not “over book.” Given that, I have found it works best to limit my schedule to a maximum of one new patient per week. Generally it takes two to three months to get your first consultation appointment. Sometimes in the spring and summer it can be faster. Typically I do not take new patients from December through March as I feel it is unwise for you to start your healing process at a time when I am not consistently available. What takes place in the initial consultation? Once you decide you would like to work with me, you contact me and we set up and initial appointment. That appointment is 70 to 90 minutes. I will ask you to go to the “new patient” tab on this website, enter a password that I will give you, and print out your intake packet. This series of health questionnaires and typical medical record forms are very thorough. They allow me to obtain insight into many areas of your health and family history. I ask you to fill out the forms and get them back to me a minimum of one week before our initial meeting. I spend an hour going over your forms, making notes, and getting a head start on where we might need to focus. The energy and effort you put into filling out your forms is an immense help, allowing me to be the best doctor I can be. It ultimately saves you time and money. Do you want my medical doctor(s) to send you copies of my lab work? As a medical doctor, it is very important that I understand your health issues. I look for optimal wellness and trends in your lab results. I will also compare them to labs we decide to obtain during your consultation to shed light on factors (treatable) that might cause problems or impact your health (ex. Vitamin D status and depression). What happens after the initial consultation session(s)? We may need more than one consultation appointment before we understand your situation, get labs and review them together and advise a course of action to help you. The number of sessions depends ONLY on how complicated you are. The average is two sessions. After we have discussed your findings and reasonable treatment options, we usually decide to work together. At this point, you become an active patient. After you read this list of FAQ’s and decide you would like to contact me, we set up an actual appointment. This first appointment is called the Initial Consultation. If we need an extra session or two for clarity, we schedule them. At the end of the consultation, I explain my medical thoughts on your condition and describe optimal treatment choices. If you and I feel we have reasonable goals and wish to work together, we begin treatment. The majority of people who get a consultation go on to become an active patient. I believe it is important to have a good fit and healthy working relationship. I do not participate with any insurance companies including Medicare. The official phrase is an “out of network provider.” Many insurance companies do cover my fees. The best way to determine your coverage is to call your insurance company and ask if you have out of network coverage and a yearly “out of network” deductible. Ask them after you meet your deductible what percentage of the “usual and customary” costs they will reimburse. You will need to call my office and ask what CPT code we will be using and what I charge. Do you prescribe and monitor medication? Yes. I am an experienced psychiatrist who is extremely pragmatic. To help you get better, I will use whatever tools work. We always discuss medication choices, and we make decisions based on efficacy, safety, and side effect profiles. I charge based on the time we spend together. Because I spend an hour going over your initial forms before we meet, the first consultation session is more expensive. Please contact me to find out my CPT codes and fees. I have some patients who want a totally traditional approach (medication and therapy). Others want an integrative and holistic approach combining lifestyle, nutritional, supplement therapy. Some prefer insight- oriented therapy. I am here to help you. Out of the treatment options we discuss, you must determine for yourself which is the best course of treatment – one that addresses your concerns and that you can follow. My privilege is to show you the best treatment options and then to work with you on implementing the one(s) you choose. You have an innate wisdom that will help you guide your decision. I respect that. There is no rule that says you cannot add medication to a holistic approach or nutritional therapy to a conventional treatment plan. Can I keep my current therapist? Absolutely!!! 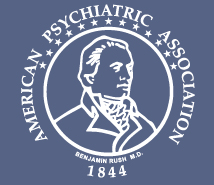 Many new patients have an established and healthy working relationship with their therapist. If we do any “talk therapy” during our session, it is often on a very different topic or using another approach. My patients feel the work we do in session is synergistic with that of their therapist. Will you speak with my current therapist? Gladly, with your permission. I envision us as a team, but you are the boss. You have the ultimate voice, barring imminent danger to yourself or another.